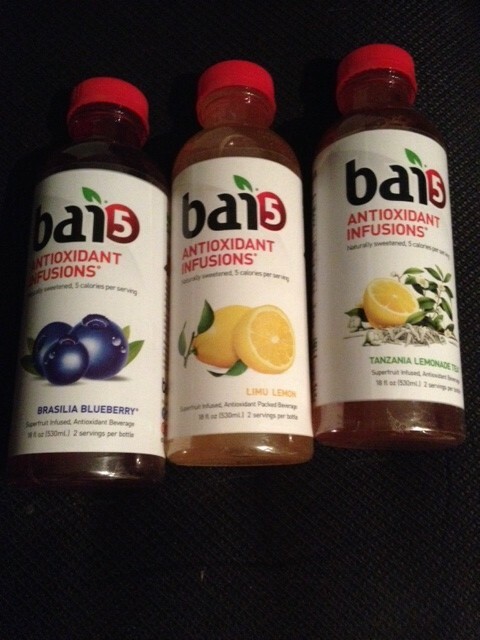 I received some free samples of the Bai 5 Antioxidant Infusions beverages, in 3 different flavors. 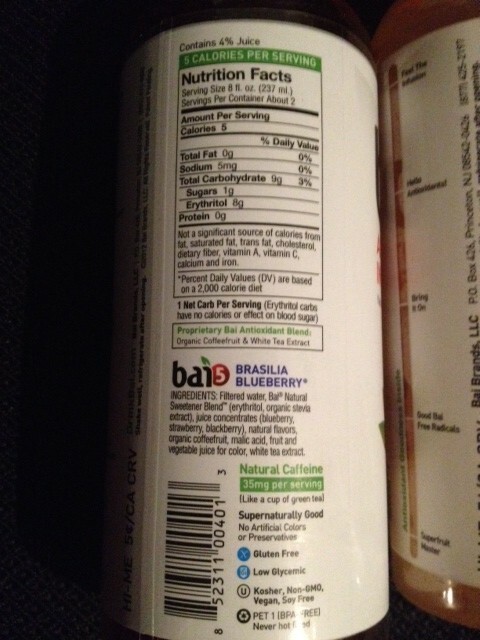 I received Brasilia Bluberry, Limu Lemon, and Tanzania Lemonade Tea. I must be honest, I feel like I have definitely seen these in stores before but never thought to buy them for whatever reason. But alas! Now I have no choice but to try them! Each bottle is made with superfruit, or as the bottle says “the outside” of the coffee fruit…”coffee’s secret superfruit”. 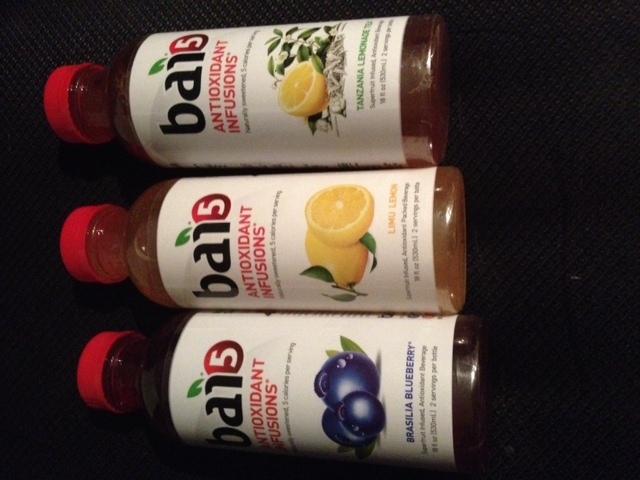 The company then “infuse[s] the antioxidant power of the superfruit, add[s] a splash of exotic fruit juices and voila! 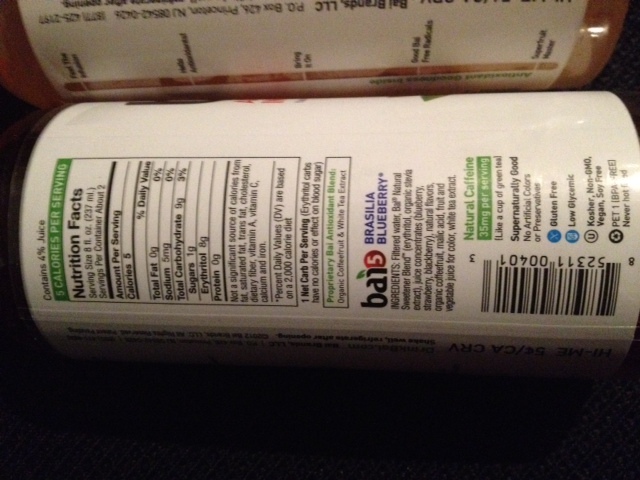 You have naturally sweetened, free-radical crushing Bai 5”. Each bottle I received has 35 mg of caffeine in it per serving, and 5 calories per serving, They are sweeteend naturally with organic stevia extract and erythritol. Overall, bravo Bai 5!!! I really like these! If I see these in stores, I will definitely be picking some up. As a diabetic, it’s hard to find “sugar free” alternatives that will not spike my blood sugar that actually taste good and not too chemically. Woo! !